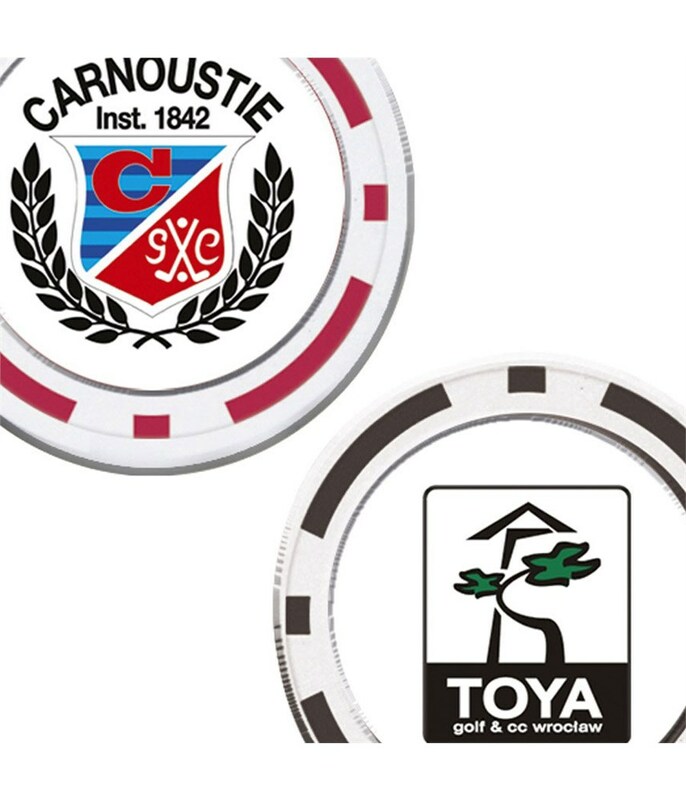 Personalise the Premium Poker Chip Double Sided Ball Marker with a corporate logo, society logo to make it the perfect giveaway on golf days. This Poker Chip Ball Marker features a high quality laminated decal which is double sided and hard wearing. 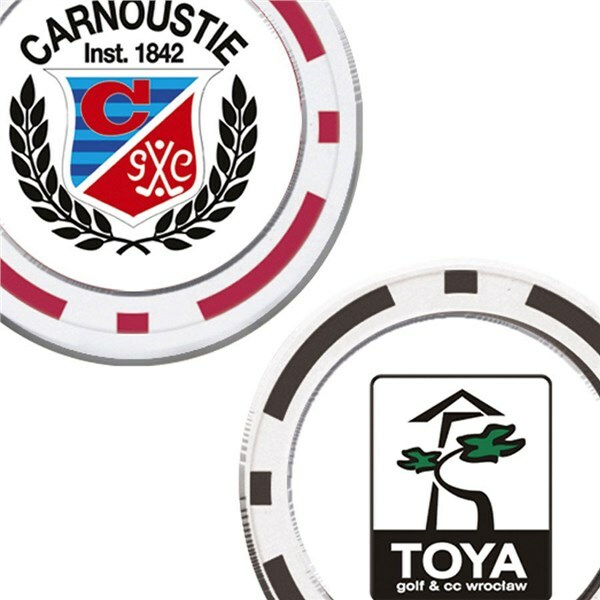 The Poker Chip is extra large in size and the logo that you choose will measure 31mm. Quality hard wearing laminated decal.